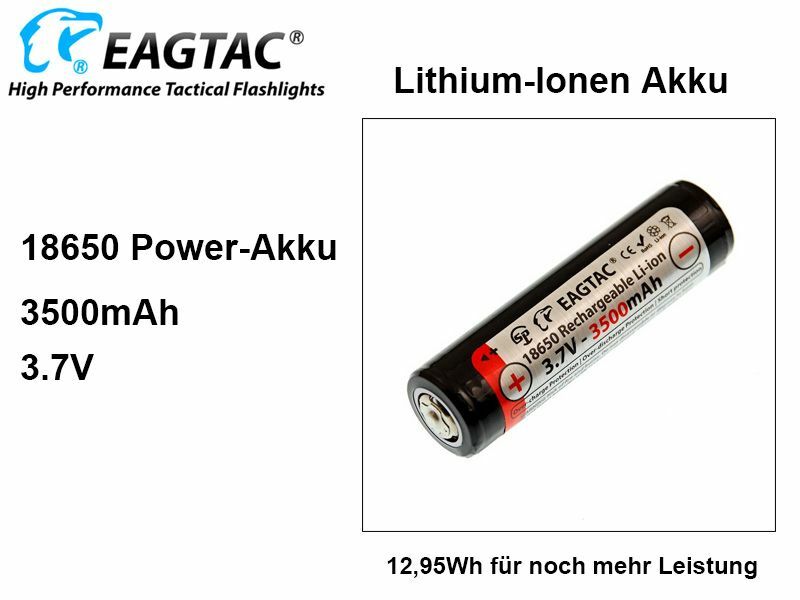 Eagtac Lithium Ion Battery Type 8650 - 3500mAh for even more power! The high-capacity lithium-ion batteries from Eagtac provide even more energy! Equipped with a PCB / IC Protection batteries from Eagtac are protected against overvoltage, overheating and total discharge. The Positive terminal of the batteries is increased (High Top).